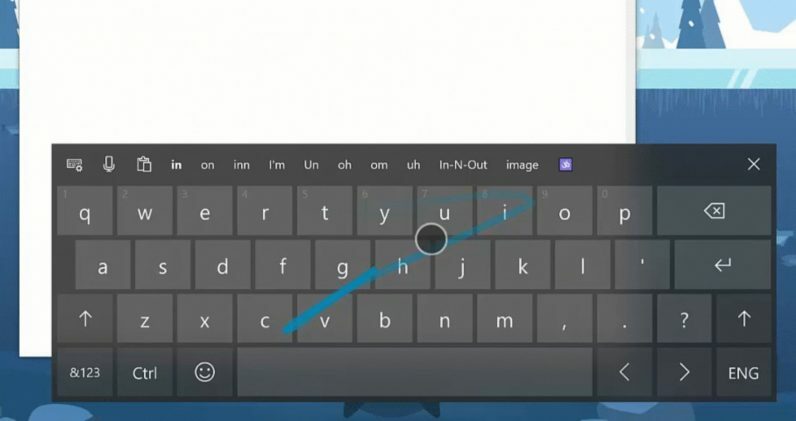 When Microsoft bought popular keyboard app SwiftKey, it seemed likely some of the keyboard’s features would make their way to Windows desktops. Now nearly two years later, we’re finally seeing the fruits of the purchase. What’s new? The latest Windows Insider Build includes ‘SwiftKey intelligence’ for the touchscreen keyboard. Rather than having a keyboard with rudimentary autocorrect, the new keyboard will learn your writing style for more accurate corrections and predictions – even the types of emoji you use. It currently works in English, French, German, Italian, Portuguese,and Russian. Why it matters: While the improvements will help the plethora of touchscreen devices running Windows 10 out there, Microsoft appears to be doubling down on all-screen form-factors. There was a recurring motif of dual-screen laptops at at Computex. Manufacturers are always looking for ways to increase display size. Since the keyboard is the likely sacrifice, Microsoft needs to begin preparing by making touchscreen keyboards a whole lot better. To that point, Microsoft is expected to reveal a low-cost Surface computer, and there have long been rumors of a dual-screen device codenamed Andromeda. The latter might actually turn out to be the mythical Surface Phone. How to try it: SwiftKey intelligence is available on Microsoft Insider Build 17692 for users in the Fast and Skip ahead rings. As always, Insider Builds represent unfinished software so use at your own risk.